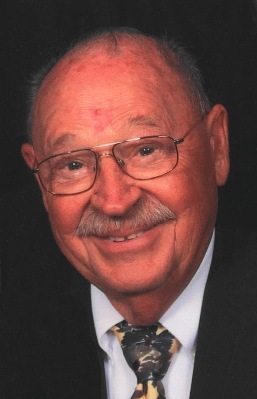 Anthony “Tony” Koke, 86, of Powell, OH passed away on Monday, November 19, 2018 at Parkvue Place Health Care Center in Sandusky, OH. He was born on February 12, 1932 in Fremont to John and Teresa (Klupacs) Koke. He was a 1950 graduate of Green Springs High School. Tony served in the U.S. Navy during Korea from June 29, 1951 to June 8, 1955 and was awarded the National Defense Service Medal and Good Conduct Medal. Tony married Doris I. Lee on December 22, 1956 at the United Methodist Church in Green Springs and she survives. He worked as an Electrician for Whirlpool Corporation for forty-five years and retired in 1995. Tony was a member of Green Springs United Methodist Church; Masonic Lodge #427; ICEDORE Chapter 299 in Green Springs and the American Legion Post 295. He was an advisor for Cub Scouts and Boy Scouts for fifteen years and received the Cross and Flame award for service to Troop #315. Tony enjoyed fishing, camping his grandchildren and living in Florida during the winter months. Tony is survived by his wife of sixty-one years, Doris I. Koke, Powell, OH; children, Tamera Ryan of Connecticut, John (Laura) Koke, Powell, OH, Joseph (JC Hall) Koke of Virginia, Rebecca (Dan) Oliver of West Virginia, Sarah (Bob) Blue, Sandusky, OH; grandchildren, Britinie, Jennie, Abbie, Allison, Erin, Kelsey, Andrea, Carly, A.C., T.J.; great grandchildren, Collin, Max, Caroline, Jackson, Josie and Rory; several nieces, nephews and great nieces and nephews. He was preceded in death by his parents; siblings, Margaret Parks, John Koke, Julia Koke, Mary Kovach, James Koke, Elizabeth Jaggers, Jospeh and Andrew Koke. Visitation: Friday from 4:00 pm to 8:00 pm at Horvath Hanes Funeral Home and Crematory, 211 N. Broadway St, Green Springs, OH with an Eastern Star and Masonic Service beginning at 7:30 p.m.
Service: Saturday, November 24, 2018, 10:00 am at Green Springs United Methodist Church, 117 N. Broadway St, Green Springs, with one hour of visitation at church prior to the service. Pastor Christine Tobergte will officiate. Burial: Green Springs Cemetery with a Military Service provided by the United Veterans Council of Seneca County. Memorials can be made to Green Springs United Methodist Church; Stein Hospice or the American Cancer Society. So sorry to hear of Tony’s passing. Doris, Tony and kids were wonderful neighbors and friends when I lived in Green Springs. My thoughts and prayers are with all of you. Heaven has gained a wonderful new resident. We would like to send our thoughts and prayers for the whole family. We’re sorry we cannot attend the funeral due to Thanksgiving with family in Columbus. May the Lord give you strength and comfort during this difficult time. Friday Am. Our prayers will be with your family asking the Lord to give you His strength.